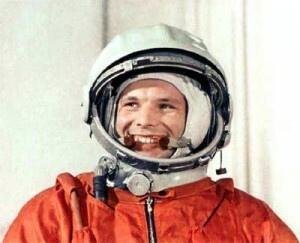 Today we acknowledge the anniversary of the death of Russia’s Yuri Gagarin, the first hero in space, the first human in space. How ironic then it was that such a hero could be dispatched not on a space flight but in a routine accident aboard a MiG-15 jet trainer. Surely this was no way for a world hero to die. More strangely, had the Soviet Union’s accelerated deployment of untried and too untested WW2 Nazi rocketry not become so corner-cutting, cost-cutting, Yank one-upping and Custeristic towards their potential space heroes, we in the West would not today be remembering Yuri Gagarin as the first man in space. Instead, we would be paying our respects to the Kremlin’s preferred cosmonaut of choice, Valentin Bondarenko, incinerated along with his spacecraft upon the launchpad just two weeks before Gagarin’s now historic flight. That Bondarenko’s death was not reported to the West until after the fall of the Soviet Union reveals the world esteem in which the Russians believed its heroes would be held. We cannot question Yuri Gagarin’s heroic status, especially now knowing that he dared to ride that rocket just days after his colleague had lost his life in a similar device. But how many superheroes down the ages have had their super lives rubbed out by the then Super Powers that engaged their services? NASA’s Gus Grissom declared that America was barely prepared for its assaults on space just days before he too died on the launchpad of Apollo 1. And for the heroes who live these new myths for us, tell these new tales to us, cross through these new boundaries and introduce these new world views to the world population, we can only hope (against hope) that those political renegades and grey-suited reptiles who control the purse strings are in the best of moods and the best of health on those fateful days on which the budgets are legislated.